Every time I am planning a family trip, I immediate map out local doughnut shops nearby. 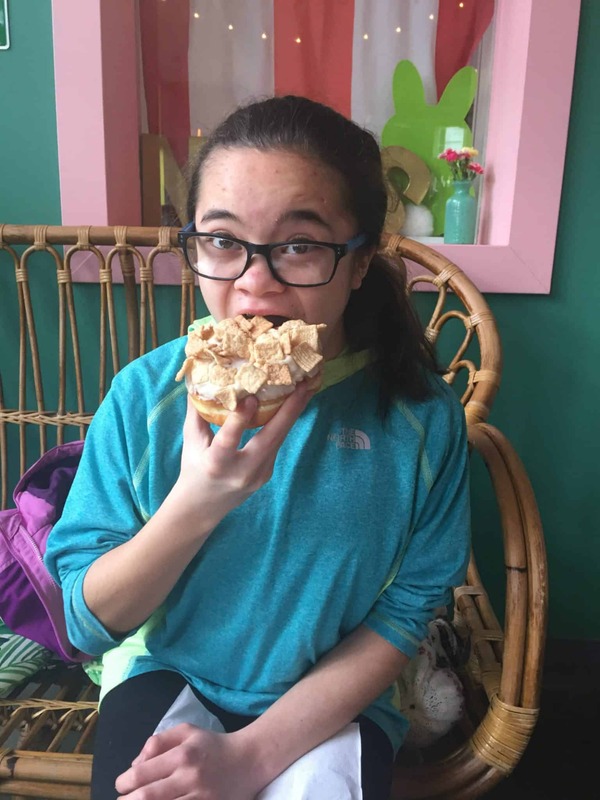 We love to visit doughnut shops around the country whenever possible. However, to find one of the best doughnut shops in the country, we just need to hop in the minivan for a short 20-minute ride to Brewnuts. Brewnuts is the creation of Shelley and John Pippin. The idea was to combine their love of doughnuts and beer by using beer as an ingredient in their doughnut recipes. In just a few years they’ve gone from renting kitchen space and selling Brewnuts at local events to having their own brick and mortar shop in the Gordon Square District of Cleveland, Ohio. I am embarrassed that it has taken me this long to make my first visit. We’ve tasted smaller versions of Brewnuts art local events, but nothing compares to the real thing! 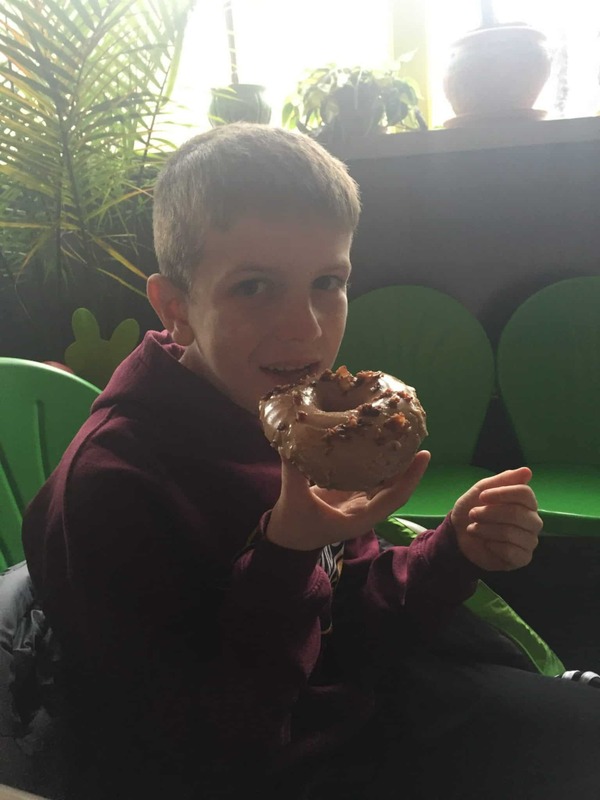 Half our family was on a Spring Break adventure in New York City so with the remaining two kids and I made the short trek down the highway to Brewnuts. Our youngest son is basically a mini version of me, fully in love with doughnuts. Our youngest daughter, however, is a whole other story. She does not do doughnuts. She doesn’t like doughnuts. She doesn’t eat doughnuts. The only doughnuts she enjoys are the powdered sugar, half stale ones that come in a cellophane wrapper. My life goal was to find a real doughnut she loved. When you enter Brewnuts, immediately you know this is not like other doughnut shops. In a good way. There is a refreshing atmosphere in Brewnuts. It’s like being around family and friends, yet everyone is complete strangers. The decor is kitschy and full of life. We staged a takeover of the back corner of the shop, which is an ode to Key West, complete with palm trees and patio furniture. Let’s get real for a second. I doubt I will ever write a bad review of a doughnut shop, mostly because…well… they are doughnuts. Even bad doughnuts are generally still good. So I apologize if it seems I only praise doughnut shops. 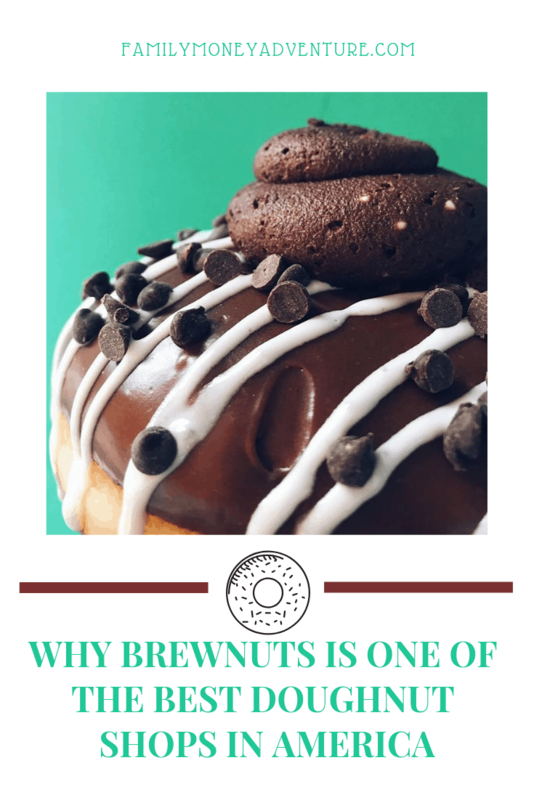 With Brewnuts, there is a depth of flavor not present in most doughnuts. Honestly, I wasn’t sure what to think of it at first, but I realized they tasted different because the dough wasn’t as sweet as most shops. I spoke with Shelley and she said they get comments on their dough often and that they dial back the sugar and let the beer do most of the work, resulting in a uniquely wonderful flavor. As doughnut shops create crazier flavors and toppings to stand out, many forget that the doughnut should still be the true star of the show. I’d rather have a simple doughnut packed with real flavor than a standard, run of the mill doughnut covered with toppings. Brewnuts delivers both. Not into beer? It’s all good because the alcohol is cooked out so no worries. Remember the daughter who despises all real doughnuts? Not anymore? She devoured the Cinna Toast Crunch doughnut. I’m glad I bought 2 of them! 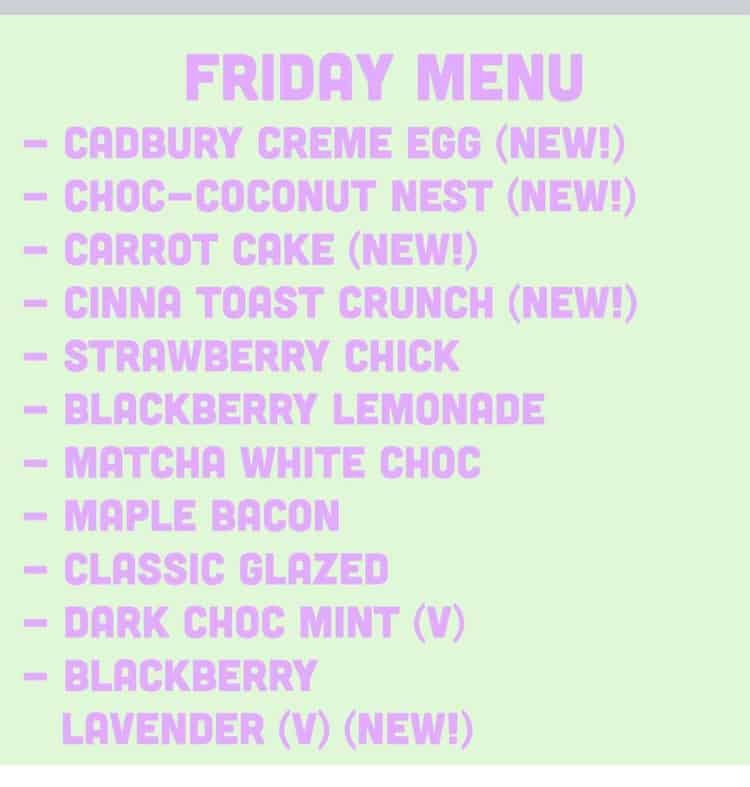 The kids wouldn’t share their choices so I didn’t try all the flavors, but I am in love with Brewnut’s Cadbury Creme Egg doughnut. So delicious! Cleveland is a city on the rise. Our food scene rivals bigger cities. Brewnuts is doing their part, crafting doughnut goodness daily. Brewnuts is on the road to establishing themselves as a Cleveland institution. Where should we visit on our next Doughnut Adventure? Let us know in the comments below! Firstly, I love that you review doughnut shops, haha! How fun! I am in Cleveland! You do need to check out Brewnuts and we will for sure meet up sometime soon!